We were inspired by the structure of an eclipse of the sun. One dancer who dances in front of the screen is the sun, and the other who is behind the screen is the moon. 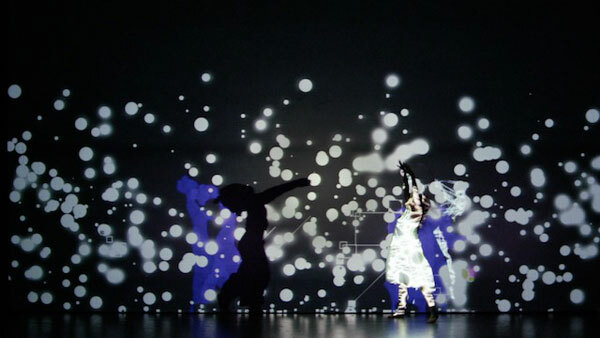 Also the setup of “projector—dancer—screen” is inspired by the structure.